Last Thursday, we had an interesting monthly performance report (ROI) meeting with a client. In that process, we made several observations about traffic downturns on a particular program, which defied the historic trend data. At the same time, there seemed to be an across-the-board decline in leads, which also ran counter to seasonal data for this time of year. On one hand, one could consider the marketing activity to be a failure. But, with ROI analysis is always best to avoid a snap judgment, given the number of moving parts in any integrated campaign. Life in the marketing fast lane is more complex than ever. So, we began asking more questions. First, we queried the client to see if they had seen anything similar in their own sales reports. No joy. In fact, it was just the opposite. Sales (based on internal tracking) were generally up over the previous month. Que? Second, we asked about a recent in-house update to website templates, which may have caused tracking codes to drop off. If that was the cause, it would have resulted in uncounted leads, which could be a possible cause of a seemingly “unexplainable” decline in leads. We’ll work through that line of inquiry in collaboration with the client. What’s the lesson here? Too often we can get caught up in the rolling and shifting granular data. And, while the detail is important, it’s also essential to keep our eyes on the horizon. Maintaining a wider perspective avoids tunnel vision that can prevent us from seeing other very important pieces of the marketing ROI puzzle. 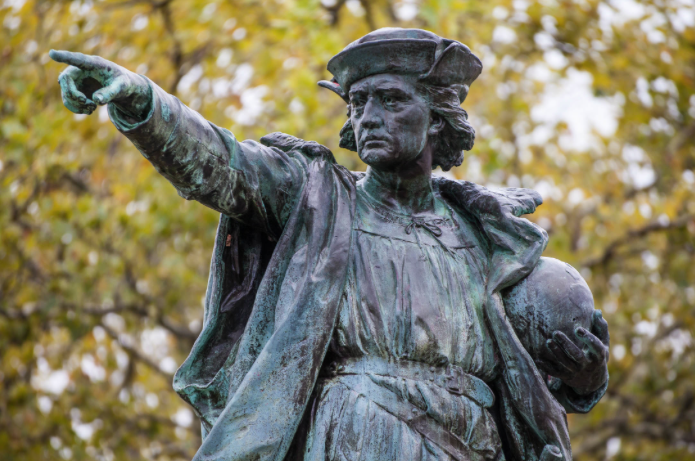 So, fellow marketing ROI lovers… Be like Columbus. Keep your sights on the marketing ROI horizon. The Ball Drops. Five Favorite ROI Quotes to Ponder for the New Year. Digital Marketing ROI. Is Your Heart In It?